Thank you for supporting wounded and recovering warriors. 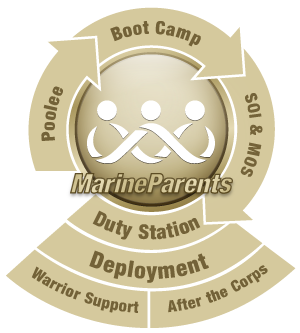 The holiday season is upon us, and we'd like to begin it by wishing the Marine Parents family a Happy holiday season! We hope you enjoy this special time of year with your family, friends, and loved ones. 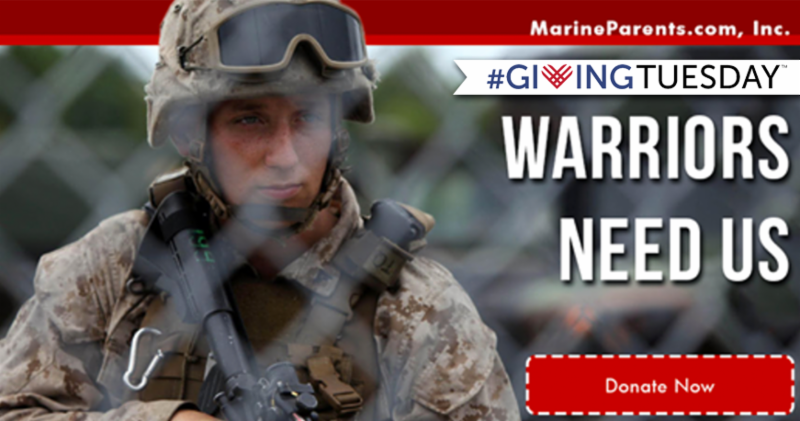 We would also like to thank you for helping MarineParents make it a happy holiday for wounded and recovering warriors. Three weeks ago, we asked you for help with our Giving Tuesday campaign. We are proud to announce that, with your help, we raised $9,855.00 for our outreach program, the Warrior Support Team. You helped us spread the word about our organization through email forwards, on social media, and by sharing and donating on our Giving Tuesday donation page. We truly can't thank you enough for the support. With $9,855.00 raised, we can pay for the Warrior Support Team dinners for 10 weeks. If you'd like to read more about our Giving Tuesday campaign, please click here. Last week, MarineParents.com corporate staff packed santa hats and handmade camo stockings full of goodies to give to wounded and recovering warriors at both the Naval Medical Center San Diego (Balboa), and the Walter Reed National Military Medical Center (Bethesda). The woodland camo stockings were handmade by wonderful volunteers led by Gail Bickerton, a Marine wife, Marissa Grgurich, a Marine mother, and Marie Kosewicz, a Marine wife and mother. The stocking stuffers included candy, snacks, i-tunes gift cards, Schick Hydro 5 razors, and more purchased by MarineParents.com. Thank you to all that support MarineParents, for making this Christmas gift possible for the warriors we serve each week at Bethesda and Balboa.